Custom Personlized Tablet Medicine Pocket Purse Travel Pill Vitamin Decorative Box Case Holder Carry your pills in style.Unique gift for men or women.Perfect pill case for the purse or pocket.Comes in easy to wrap gift box. Custom Personlized Tablet Medicine Pocket Purse Travel Pill Vitamin Decorative Box Case Holder Carry your pills in style. 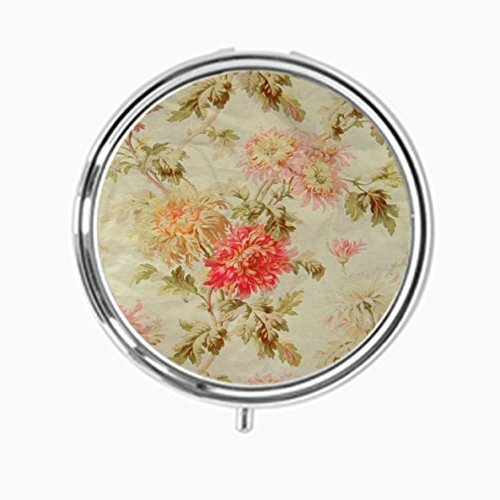 This pill box case is elegant in it's simplicity and very functional. Easy to open and close, compact and lightweight,fit easily into your pocket,briefcase or purse. Measures Approx. 2" in. W x 5/8" in. H; Internal divider keeps your pills organized. This item comes in a lovely box, making it the perfect gift. Don't miss out, order today! If you have any questions about this product by Udoosun, contact us by completing and submitting the form below. If you are looking for a specif part number, please include it with your message.